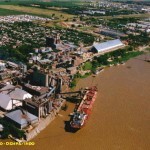 Terminal for grain, by products, vegoil also owned by Bunge Argentina S.A. 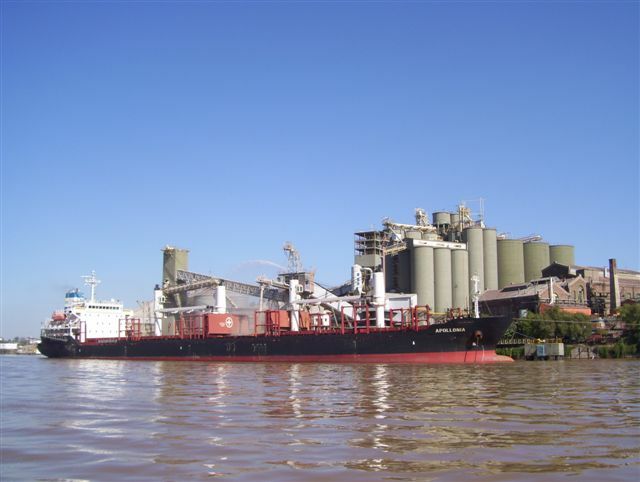 Berth: 5 reinforced concrete dolphins length overall 125 m with outlying head/stern moorings. 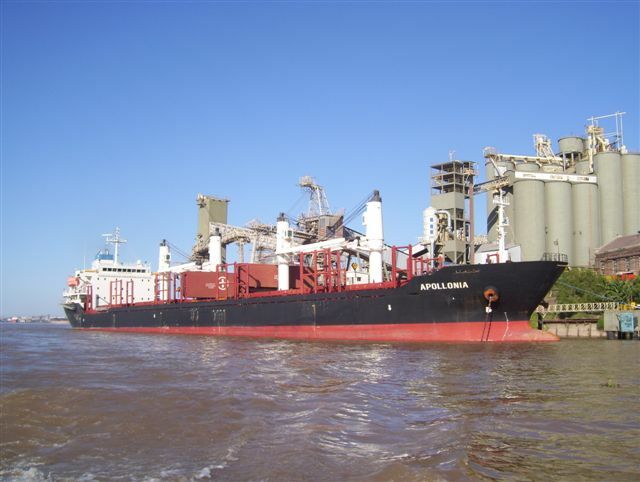 Depth alongside 12,20 m (40 ft) at datum; air clearance 24 m at datum, suitable for vessels of maximum LOA 235 m beam 32,5 m.
Cargo transferred from silos via conveyor belt to two loading arms fitted with vertical chutes located at center of berth. 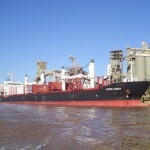 If required, vessels mayshift up and down berth to load different hatches. 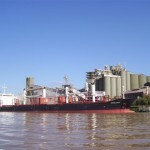 Average loading rate grain 2000 TPH. By products 2×600 TPH. 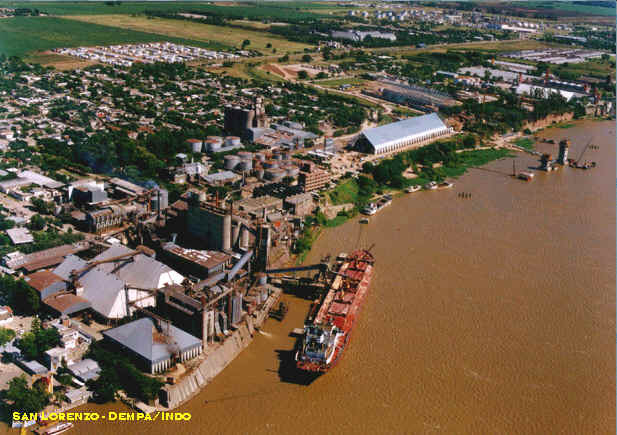 Storage capacity grain, by products 135.000 ton. Reception rate 600/700 TPH ex trucks. Adjacent parking for 1050 trucks. Terminal connected to railway. Berth fitted with 1×6´´ and 1×10´´ vegoil pipelines to oil tanks permitting loading of two types of oil simultaneously. Tank storage capacity 46.000 ton. Loadrate 600 TPH. Bunkering not allowed.